The roof will be constructed with open web steel joists and metal deck, the mezzanine with composite steel beams and concrete over metal deck and the walls with solid grouted masonry. This project includes a 3 story office building. The structure comprises a steel moment frame building with concrete floors supported by steel beams and open web joists. 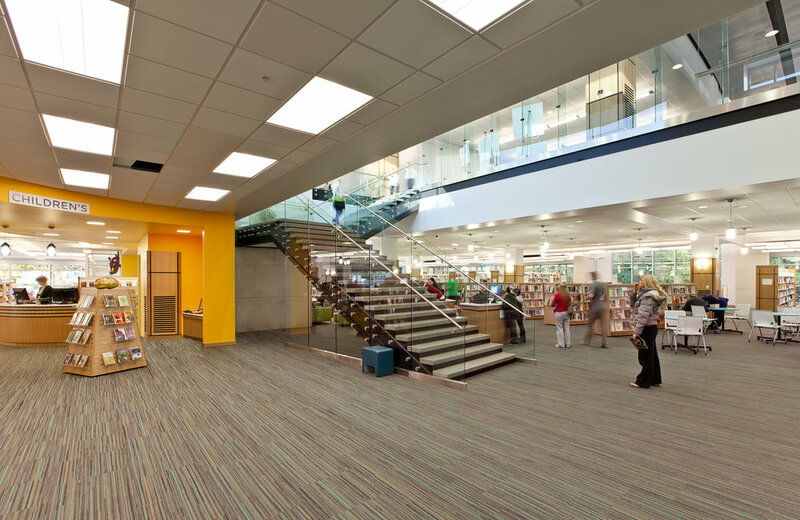 It also includes a single story Library connected to the Admin Building with an expansion joint. The structure of the Library building is steel framed with open web joists and steel beams. The lateral resisting system is light framed wood shear walls. 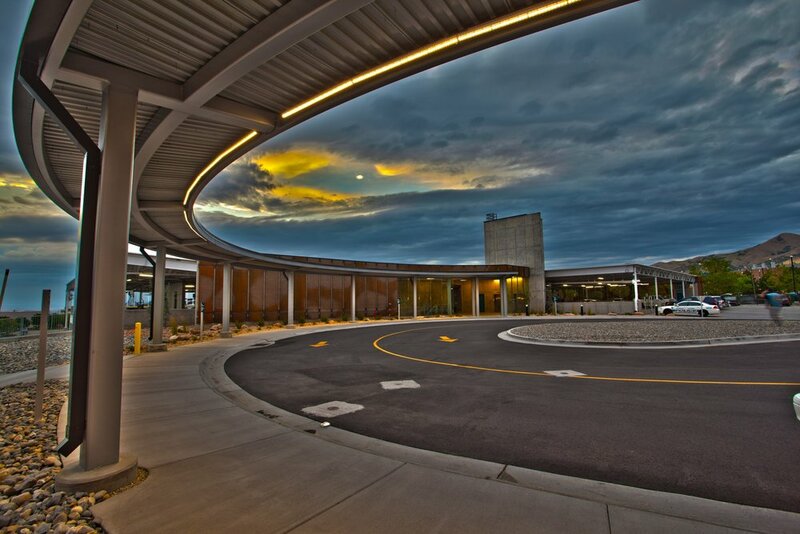 The VA parking structure is a post tension concrete floor structure with a steel roof. The lateral system consisted of cast in place concrete shear walls. The footing and lateral system were designed for the load of an additional floor to provide the VA with a way to expand in the future. To change the look of the parking structure, a core ten panel system was designed to clad the structure. The rusted steel gives the building a distinct look. 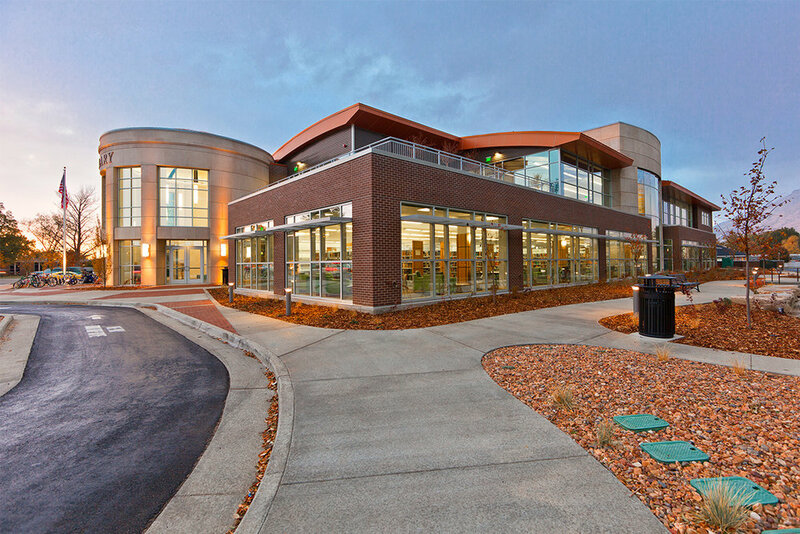 This steel, two story public building features multiple roof offsets and shapes. The floor system is composite wide flange beam with metal deck. There are radius roofs, dome roofs, and traditional flat roofs framed. These are framed with arched open web steel joists, curved wide flange, curved tubes, as well as conventional open web steel trusses. Special moment frames where used for the lateral force resisting system to keep a open floor plan. Multi exterior wall finishes where used including brick stone and metal panel requiring creative skin details. The new Farmington Police Station is a masonry structure with metal panel over metal stud elements. The roof is framed with open web steel joists. A large clerestory in the center of the building is formed with arched steel joists supported by columns. The lateral forced are transferred into the lower roof thorough cantilevered columns. These forces are then taken through a three sided diaphragm into the masonry shear walls. The Tooele Fire Station is a beautiful two story masonry structure. The project provides three service bays as well as administrative and living quarters. The roof is framed with sloping open web steel roof trusses. The exterior walls are durable concrete masonry units. The second floor is built with solid concrete composite floor joists and deck. The design team took special care to ensure the structural envelope would accommodate the mechanical and lighting systems while ensuring the desired ceiling height.